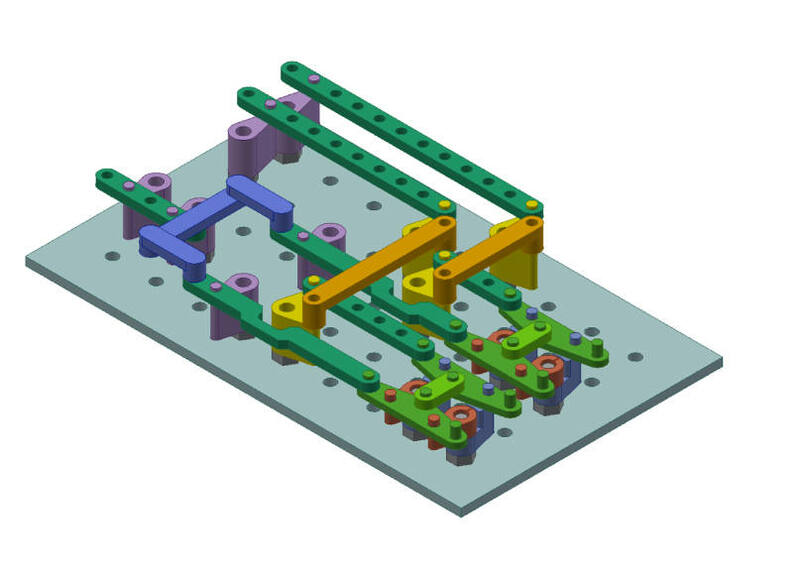 Here's a paper outlining a way to make logic gates out of nothing but links and rotary joints. It's quite ingenious -- binary states are indicated by the lean of the mechanisms, so you do calculations via entirely mechanical means, with the links shifting back and forth on the joints. They've worked out how you'd build everything from AND gates to NAND, NOR, NOT, OR, XNOR and XOR. Recently there has been some resurgence of interest in molecular machines created by atomically precise manufacturing. Apart from their ultimate miniaturization, molecular machines would offer the advantages of very low friction and zero wear. Mechanical computers constructed from molecular-scale atomically-precise components would be highly desirable because of their potential for combined high performance and low energy dissipation. Alternatively, it'll be a way to continue to do computation using twigs and string after the zombie apocalypse.